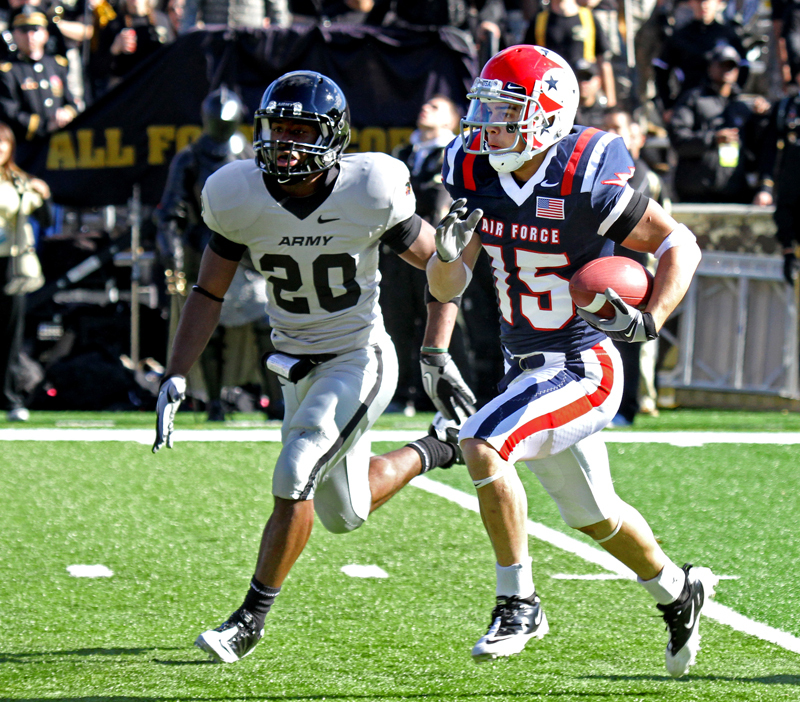 CBS sports executives slid the Army – Air Force game into the national 3:30 p.m. ET time slot after moving the mega LSU – Alabama showdown to prime time. CBS typically saves this time slot for the Southeastern Conference’s game of the week. However, this No. 1 vs No. 2 battle demanded that t.v. execs milk the college football game of the year for every last rating so the game got moved to 8 p.m. The two service academies stand to benefit as the Oct. 1 Air Force-Navy game must have scored strong ratings for CBS. It’s great news for West Point and the Air Force Academy’s football programs as this will be Troy Calhoun’s outfit’s third national television appearance and Army will make national airwaves twice this season. VERSUS, owned by Comcast, was scheduled to broadcast the Army-Air Force game at the same time until the switch was made. Air Force will be playing to clinch the Commander-in-Chief’s trophy for the second straight year after beating Navy in overtime Oct. 1. Army, meanwhile, will look to win and set itself up to win the CIC trophy for the first time since 1996 if the team can also beat Navy. Army has only beaten a fellow service academy three times in the past 13 years. Air Force is struggling through a three-game losing streak after beating the Mids in dramatic fashion. Notre Dame slammed the Fighting Falcons 59-33 last time Air Force played on national t.v. Army is similarly slogging through a 2-5 season although the Black Knights did beat Northwestern 21-14 earlier this eason. Junior quarterback Trent Steelman will look to match Air Force’s Tim Jefferson who almost led Air Force to its biggest upset in school history barely losing to No. 5 Boise State last Saturday.